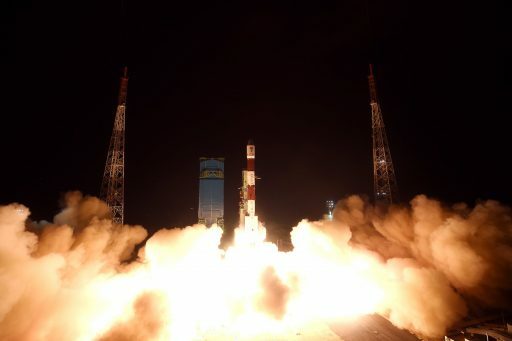 India’s Polar Satellite Launch Vehicle successfully sent the IRNSS-1I navigation satellite into orbit on Wednesday after an impressive nighttime liftoff from the country’s Satish Dhawan Space Center. 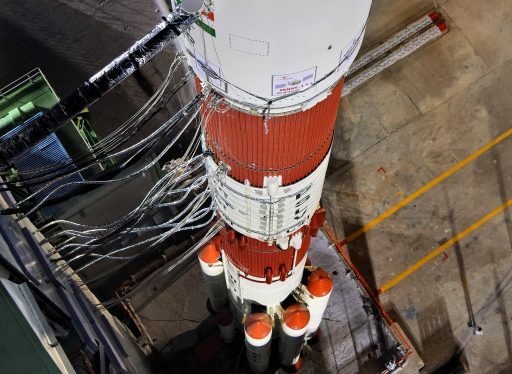 Powered aloft by a solid-fueled core stage and six strap-on boosters, PSLV thundered away from India’s eastern shore to the south-east, en-route to a Subsynchronous Transfer Orbit from where the satellite will climb under its own power to patch a gap left in India’s NavIC constellation due to problems with the atomic clocks of the original navigation satellites. PSLV provided its 1,425-Kilogram payload with a smooth ride and separated the satellite into the intended orbit less than twenty minutes after taking flight, successfully sending a badly needed replacement on its way after the originally intended IRNSS replacement craft was lost in a rare PSLV launch failure seven and a half months ago. 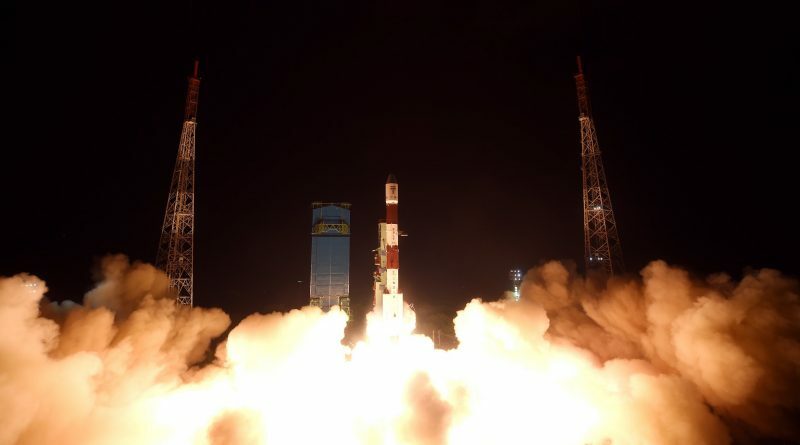 Indian officials confirmed the success of Wednesday’s launch shortly after the satellite had arrived in orbit and status telemetry confirmed the health of its systems. 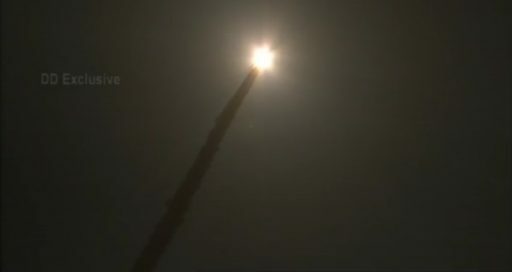 Wednesday’s night’s PSLV launch came right on the heels of the successful March 29 launch of India’s Geosynchronous Satellite Launch Vehicle, marking the shortest gap between two orbital launches carried out by the Indian Space Research Organization. Although GSLV performed admirably during its 12th launch, communications with the GSAT-6A satellite were unexpectedly lost after if performed the second of three apogee maneuvers and efforts to make contact with the satellite have come up empty-handed up to this point. 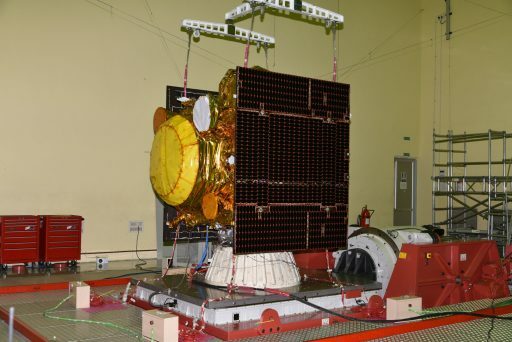 ISRO nevertheless decided to press ahead with Wednesday night’s mission as the IRNSS satellite placed atop PSLV does not share any power system components with GSAT-6A which may have succumbed to a power-related failure somewhere aboard the communications craft per initial analysis of the fault signature. 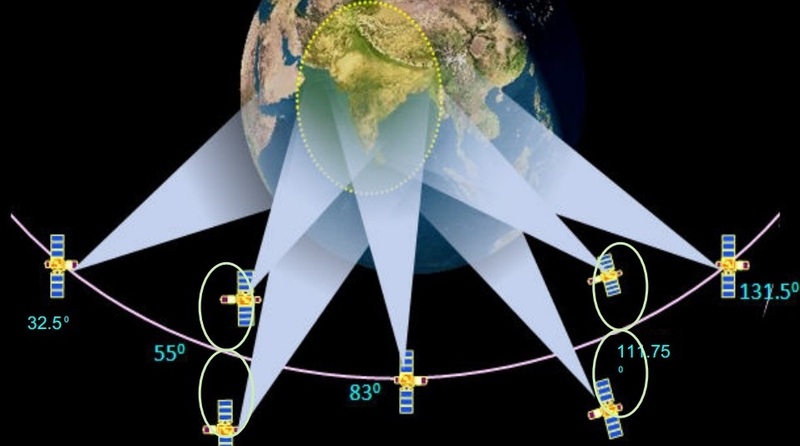 India’s NavIC navigation system, formally known as the Indian Regional Navigation Satellite System (IRNSS), consists of seven satellites operating from Geosynchronous Orbits to provide coverage of the Indian Subcontinent and surrounding areas. The project started out in 2006 and was born out of a desire to establish an independent navigation capability across India for government and civilian use – ending reliance on foreign systems like the American GPS which may be disabled in times of distress. India opted for a regional solution instead of global systems like those operated by the U.S., Europe, Russia and China. Seven IRNSS satellites were lifted by PSLV rockets between 2013 and 2016, three reside in Geostationary Orbit above the equator and four are located in two orbital planes in 29-degree Geosynchronous Orbits to create a coverage area spanning the entire Indian territory and around 1,500 Kilometers beyond its borders. The IRNSS satellites are essentially carbon copies, employing ISRO’s I-1K satellite platform and weighing 1,425 Kilograms at liftoff. At the heart of each satellite are three Rubidium Atomic Frequency Standard (RAFS) clocks that deliver the ultra-precise timing needed for the generation of navigation signals which are then transmitted to the ground in the L5 and S-bands and processed by compatible receivers to calculate a user’s position via triangulation – requiring a sufficient number of satellites, typically four, to be visible at any given time (three for location, the fourth provides time synchronization). IRNSS was designed with redundancy on the constellation and satellite levels – installing three clocks on each satellite to protect against isolated failures and operating the constellation in a one-redundant configuration (allowing one satellite to fail without affecting the quality/availability of service). As an additional insurance against a system outage, ISRO commissioned two satellites to act as ground spares. 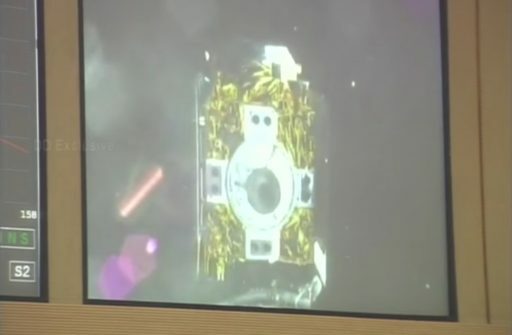 The initial plan was for the two satellites to be kept in storage and launch in case any active satellite encountered problems to ensure the constellation would stay at operational strength throughout its planned ten-year service life. Problems aboard the first constellation satellite, IRNSS-1A launched in July 2013, began in mid-2016 with the failure of one of its three rubidium clocks. 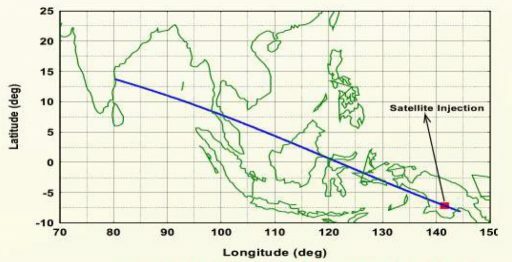 The two remaining clocks followed suit in the second half of that year and left IRNSS-1A without the ability of delivering precise signals, leaving it in a much degraded state not suitable for accurate navigation. The plot thickened when the European Galileo constellation also noted an alarming failure rate on its clocks, affecting both types used on the European system – the more accurate Hydrogen Masers and the RAFS Clocks which are considered more robust. 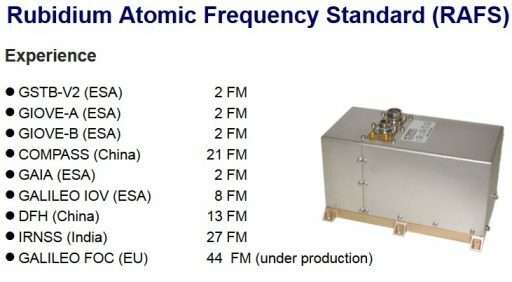 IRNSS, Galileo and China’s Beidou-2 navigation systems all use clocks from the same supplier, Swiss company SpectraTime, and analysis of the failures on IRNSS and Galileo showed the exact same mechanism that implicated an inexpensive electronics component causing short circuits within the clocks. As a result of the inquiry into the clock troubles, existing clocks were removed from the two IRNSS spares and Galileo satellites waiting for launch to undergo repairs before being re-installed on their respective satellites. Despite the complete failure of clocks on IRNSS-1A, ISRO initially planned to keep the planned early 2018 in-service date for the NavIC system. To bring the constellation back to a redundant configuration, ISRO readied IRNSS-1H – one of the two ground spares – for liftoff on August 31, 2017. Unfortunately, the satellite fell victim to the first PSLV failure in 37 missions when the rocket’s payload fairing failed to separate due to a rubber bellows within the fairing separation system that failed to pressurize properly to push the fairing halves apart. 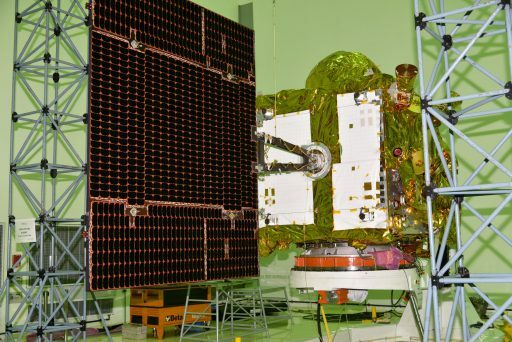 PSLV successfully returned to flight in January 2018 with a cluster delivery but the grand-rollout of operational IRNSS services remained on hold as the system was not considered fully operational without the seventh satellite – especially since another two Rubidium clocks on the active satellites have encountered failures since trouble arose with IRNSS-1A. 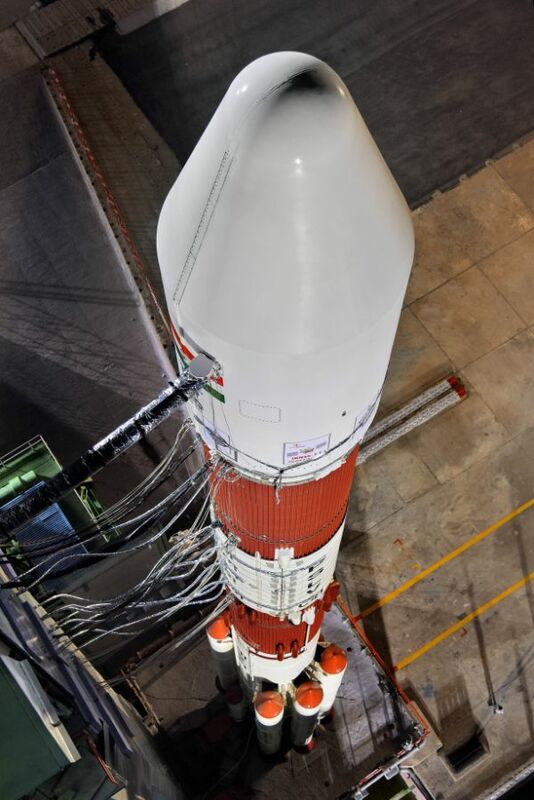 Timelines for IRNSS-1I – the first satellite integrated and tested in part by an industrial consortium – were not changed and its launch remained planned for early 2018. The PSLV C41 launch campaign began in early February with the stacking of the four-stage rocket atop the First Launch Pad at SDSC. IRNSS-1I was flagged off from the ISRO Satellite Center on March 22nd to begin a final processing flow at the launch site and prepare for a nighttime liftoff. 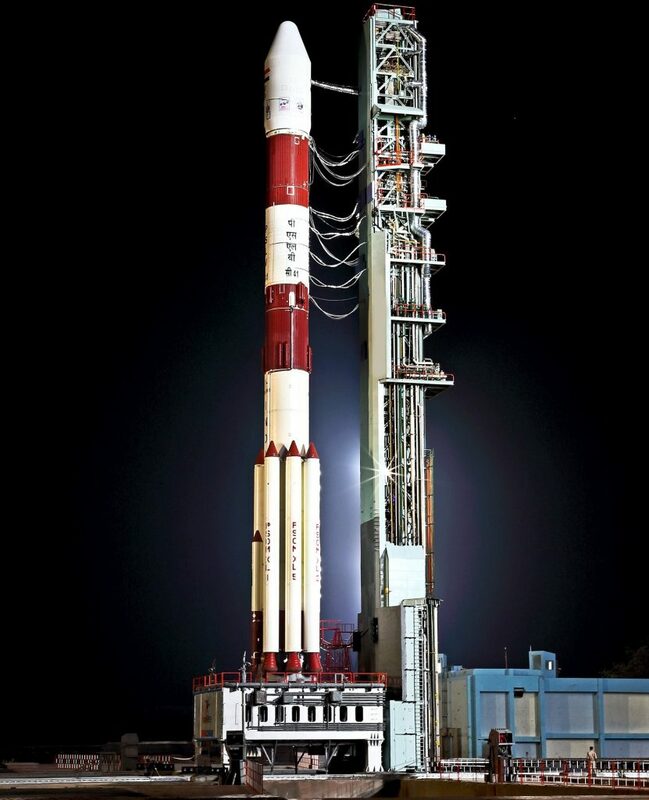 PSLV enjoyed a smooth 32-hour countdown before coming alive at 22:34 UTC on Wednesday, 4:04 a.m. local time on Thursday. Shooting skyward, PSLV burned 1,600 Kilograms of propellant per second with its S139 Core Stage and four of its six Solid Rocket Boosters, the other two joining in at the T+25 second mark to increase the vehicle’s thrust to 803 metric ton-force. The 12-meter long ground-lits burned out at T+50 seconds and separated in pairs at T+70 seconds when the rocket was crossing 24 Kilometers in altitude. Separation of the remaining two PSOM-XL boosters occurred 92 seconds into the flight and the core stage burned for another 17 seconds to accelerate the vehicle to a speed of 2.4 Kilometers per second when dropping away from the PS2 at T+1 minute and 49 seconds. Starting out at an altitude of 55 Kilometers, the PS2 stage fired up its 81,500-Kilogram-force Vikas engine, burning 42 metric tons of self-igniting Nitrogen Tetroxide and UH25 Hydrazine. PSLV entered closed loop steering during the second stage burn to dynamically adjust its flight profile based on measured navigation data to ensure it steered toward its precise cutoff target in space. The two fairing halves dropped away three minutes and 22 seconds into the mission when PSLV had passed 113 Kilometers in altitude and the hypergolic-fueled second stage handed off to PS3 at T+262.2 seconds with the third stage lighting up its solid rocket motor moments later to generate 25 metric tons of thrust for a 113-second burn. Expending 7,600kg of composite fuel, PS3 boosted the vehicle onto a sub-orbital trajectory and remained attached to the stack until T+9 minutes and 58 seconds when it separated en-route toward re-entry over the Pacific Ocean while the PS4 stage readied for ignition to lift the stack into orbit. Firing up its twin L-2-5 engines, the fourth stage was set for a lengthy burn of eight minutes and 34 seconds aiming for an injection orbit of 284 by 20,650 Kilometers, inclined 19.2 degrees – a typical sub-GTO delivery arising from the limited performance of the PSLV rocket that normally handles Low Earth Orbit missions. Separation of IRNSS-1I was confirmed 19 minutes and 20 seconds after launch into its desired transfer orbit from where the spacecraft will maneuver up to its operational slot within the IRNSS constellation. Replacing the 1A satellite, the craft will enter the western GSO plane of the constellation, aiming for an orbital inclination of 29 degrees and an equator-crossing at a longitude of 55 degrees East. Checking off its third successful launch of 2018, ISRO is currently looking at late May for its next space launch, involving a PSLV rocket lifting a not-yet-announced primary payload into Sun Synchronous Orbit. For the IRNSS navigation system, the future will hold an expansion from seven to eleven constellation craft to extend its coverage area.